Morrissey once sang "I am human and I need to be loved, Just like everybody else does" and it's a lyric which perfectly encapsulates our need for acceptance. We've evolved to work with our fellow man to help structure society whether it be in the family unit or at work, so it's in our best interests to integrate as seamlessly as possible. However, us humans are a funny old bunch and don't half love putting obstacles in the way, prone as we are to being stubborn, arrogant and, sometimes, scared sods. And that's why it's so difficult to initiate a seamless integration into whichever particular congregation we deem necessary to join. In particular, the family unit bobs along atop a fiendishly choppy set of waters, so boarding this ship requires navigating it to calmer waters. Tough work indeed, but when it's combined to the constant demands of a new employer then you run the risk of being swept out to sea along with the flotsam of countless lost souls. And, now that I've dilly dallied around with enough maritime metaphors (which aren't even applicable to this article at all), let's take a look at these trials and tribulations being played out in Jack of Hearts. 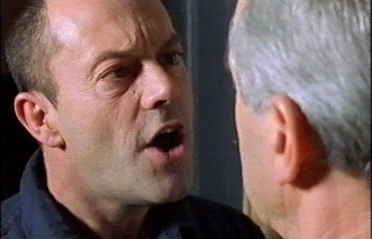 Jack Denby (Keith Allen) is a man with a problem. Sure, he's got a cracking fiancée in the shape of Suzanne Price (Anna Mountford) and the happy families game is ticking along nicely with her daughter Katie (Miranda Llewellyn-Jenkins) who Jack is positively potty about. And, yeah, he absolutely loves his job as a probation officer in London. After all, it's his patch and his people, so engaging with this landscape is second nature to him. And he's good at his job, with current felons keen for his help and ex-felons happy to knock him up a mean cappuccino. The spanner in the works, though, is that Suzanne has accepted a job teaching media studies back in her beloved, native Cardiff. And Jack doesn't want to leave London, no matter how hard Suzanne tries to cajole him. However, after seeing one of his clients murdered at close range, Jack begins to wonder if he truly wants to stay in London. Jack's boss, Ron (Paul Moriarty), tips him off about a senior probation officer job in Cardiff and advises Jack that it's a move he should make if he wants to prove how important Suzanne is. Jack doesn't get the job - instead it's handed to current employee Caroline (Caroline Berry) - but Jack is offered a standard probation officer position nonetheless. So, Jack finds himself in Cardiff and things are surely looking up, but, oh dear, there's more spanners flying towards his intricate machinery. Whilst Suzanne's mother, Jean (Ruth Madoc), is more than a bit keen on Jack, it's Suzanne's father, Peter (Andrew Sachs), who takes a very dim view towards Jack's intentions for Suzanne and Katie. Further trouble is waiting in the wings in the form of Joe (Steve Toussaint), Suzanne's handsome ex who just happens to be working in the same department as Suzanne. Jack's homelife is a complex beast, but maybe his new job will present him with an opportunity to feel alive and unrestricted. Sadly, no, as he faces a particularly competitive and domineering force in the shape of Caroline, a lass who most certainly doesn't want his rough and ready ways cluttering up her corridors, despite his undeniable results. Settling in Cardiff is going to push Jack to his limits, but can he knuckle down, weather the storm and come up smelling of daffodills? Jack of Hearts was a six episode series which aired through August/September in 1999 on BBC1 and saw episodes being transmited on Wednesday evenings at 9.30pm. Episodes were also aired on Thursday/Saturday evenings on digital channel BBC Choice over the same time period. 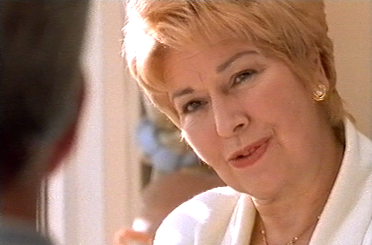 Writing Jack of Hearts was the newcomer Sian Orrells who had previously written episodes of Eastenders, A Touch of Frost and Wycliffe. Directing Jack of Hearts was Timothy Lyn who was perhaps best known for playing a Pelamot named Boris in Look and Read classic serial Through the Dragon's Eye. The theme tune was provided by the lung busting talents of Bonnie Tyler in a song which was specially written for the series. Jack of Hearts aired shortly after I'd finished my GCSEs and, on an extended summer holiday, I found myself somewhat rudderless in a turbulent sea fuelled by formative experiences with alcohol, lusting after girls who considered me the equal of amoebic dysentery and desperately trying to get a hideously paid job which equated to child slavery. And whilst I was busy with all that exciting rhubarb I completely missed Jack of Hearts. However, despite the relative scarcity of any mention of the show (let alone footage online), my lack of dedication to British television during those halcyon, youthful days would not leave me punished for all eternity. And, thanks to a wonderful friend of the blog, the complete series turned up on VHS in amongst a box of home recorded goodness. What piqued my interest, in particular, was the presence of Keith Allen. After all, one of my favourite children's TV shows of all time - Jackson Pace: The Great Years - stars the great man, so anything that taps into the visceral thrills of that masterpiece is more than deserving of my evenings. And weekends. It's tempting to pigeonhole Allen as a comedic actor, but his CV belies a man with a terrific flair for drama. In Jack of Hearts, Allen gives Denby a rough and ready outline, but one which hides, beneath the shabby surface, the steely intelligence of a man who knows the importance of listening and never backing down. 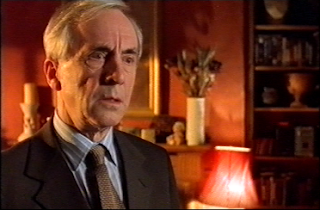 Andrew Sachs, as well, is another actor who falls foul, too often, of being singled out for one role, but, as Peter in Jack of Hearts, Sachs delivers another generous helping of the understated brilliance he can bring to a character. And, the manner in which he bloody mindedly confuses arrogance and fear for patriarchal care in Jack of Hearts is played with real elegance. In amongst the grown ups, and showing no fear, is the talented Miranda Llewellyn-Jenkins who pulls off that rare feat of being a child actor who isn't a monosyllabic little squirt and manages to generate an engaging chemistry with Allen. 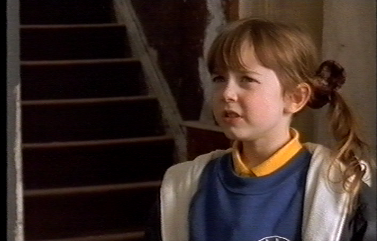 Sadly, her acting career was as short as her height in Jack of Hearts, so we were robbed of a future great. Going back to the grown ups, we find Anna Mountford and Ruth Madoc's characters struggling for a strong focus throughout their narratives. Despite their first rate acting, they find themselves pushed to the sidelines by their respective other halves' pursuits and this acts as an early indicator that the writing may still be begging for another edit. Jean, in particular, appears to have been drafted in for little more than her fondness for Jack to be in stark contrast to Peter's out of control fears. 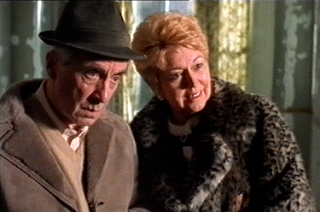 And, Suzanne, despite being set up as a strong, independent woman more than confident to leave Jack languishing in London, is criminally underused in Jack of Hearts. Yeah, okay, she tiptoes around reigniting her relationship with Joe, which would placate Peter's errant worries, but sadly the affair fizzles out when it could have been a much more explosive plot strand. Following this, Suzanne appears reduced to rolling her eyes at Jack - to be fair he does turn up to their wedding late and covered in blood, the swine - and acting as a plot device for Jack and Peter's warring emotions. And their feud is probably the most interesting aspect of Jack of Hearts. Peter is the epitome of a stubborn man hellbent on taking control of his daughter's life, but is frustrated at every turn as she exerts her own adult judgement. It's a fascinating conflict and one which is first intimated at during their first meeting where Jack's offer of a handshake never manages to quite make contact. It's a nice piece of writing which helps to lay a foundation of frustration into Jack's already fractious life. And, in fact, there are plenty of these little cues sprinkled through the script - such as Suzanne's look of irritation at Katie calling Jack "Dad" - which speak volumes about where the characters are at. And the central themes of Jack of Hearts - lack of trust, protecting loved ones, fear of loneliness - are all laced through the narrative with a fantastic subtlety. Also, to play into the audiences' hopes and fears, Jack has to contend with a disapproving parent and a handsome, successful ex. And we've all experienced at least one (probably both) of those scenarios. These recurring motifs are great at adding some intrigue to Jack's home life, but it's in his work life that Jack's journey sags and feels bolted on. Sure, his work with those on the wrong side of the law helps to reinforce the series' themes, but there's very little pizazz or sublime storytelling attached to them despite gun wielding lunatics, murdered prostitutes and aggressive rapists stomping round the back roads of Cardiff. And the nature of this criminal content always feels as though it's struggling to hit the right emotional receptors due to the confusing direction. Cardiff, itself, is portrayed as a serene and peaceful place where even red light districts look like the perfect setting for kids to play and there's a soft warmth to almost every shot. British TV seemed to excel in bottling up an uncomfortably real brand of grit through the 70s and 80s, but here it's lost to slick camera angles and plenty of well lit scenes. And, in an era where shows over the pond such as The Sopranos and The X-Files were ushering in a golden age of television, Jack of Hearts lacks the cinematic sheen of these transatlantic rivals; it's fair to say that British TV is still light years away from the glorious cinematography of Sherlock. Sian Orrell does, however, manage to conclude the series neatly by finally getting Jack and Peter to complete their failed handshake to draw a line under the series' most absorbing conflict and finally allow Jack to listen to that Morrissey lyric with a smile on his face. Jack of Hearts is a mildy diverting watch and I certainly didn't struggle to get through the episodes as there was just enough in Jack's main narrative to keep me satisfied as I picked at the side plate of fine performances. The show is far from perfect, though, and it's lack of legacy fails to surprise me as Jack's life of a probation officer doesn't serve up enough startlingly brilliant plots and, instead, the series spends most of its time plodding along in second gear. 'Wonderful friend of the blog' Aww that's me that is. I must say, the screencaps here look stunning! Are those dusty old VHS really such great quality?? I'm impressed. 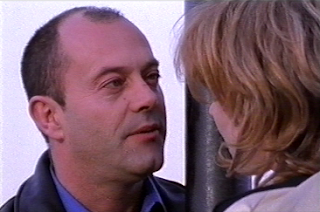 For me, Jack of Hearts succeeded squarely on Keith Allen's charisma. I always got the feeling Sian Orrells, as well as wanting to create a British Jack Nicholson pulp noir hero here, - and oh how she references that at every turn - was also extremely influenced by Jimmy McGovern's Cracker in the writing. The difference being of course, there's more mileage in depicting a character assigned to the police solving murders, than there is in a show about a probation officer. Totally agree about little Miranda Llewellyn-Jenkins, probably the best child actress I'd seen at that time since the two kids from The Paradise Club. Yeah, the quality is pretty good for the VHS! Also helps when the pictures are shrunk down to this size though to make them a bit sharper! You're right about the lack of mileage in the probation officer character. I think one series was certainly enough.